According to the U.S. Coast Guard, boating accidents are on the rise. They can cause the same types of injuries as car accidents. Those involved may endure severe burns, broken bones and brain damage. The rate of fatal accidents is also, sadly, on the rise. Boating accidents bring their own set of dangers, including lacerations caused by propellers and hyperthermia suffered while in the water. Just like car accidents, boating accidents that result from negligence can turn into criminal proceedings for the person at fault. A boater named John Deselms was recently charged with first-degree manslaughter for a May boating accident that left two people dead. He has since posted bond and been released. Deselms has nearly 1,000 hours of boat driving experience. 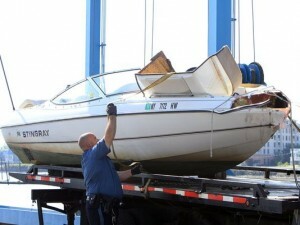 With so much time on the water, what could have caused him to drive 25 mph into the lower deck of a docked houseboat? According to News On 6, preliminary reports indicate that Deselms’ blood alcohol level was more than twice the legal limit. He admitted to police that he drank 10 beers, had a shot of liquor and took prescription pills. Boating Under the Influence (BUI) is a serious crime that can result in license revocations, fines, probation and jail time. Boaters who drive under the influence are 10 times more likely to die in an accident than a boater who is sober. The higher death rate for BUI boaters is attributed to the effect alcohol has on a person’s equilibrium. When a drunken person falls into the water, he or she can have a difficult time judging which direction is up, and many drown. In Florida, BUI laws are very strict, because the Sunshine State now has the highest boating-accident rate in the United States. If you or a loved one has been injured in a boating accident, it is important to get in touch with an attorney to ensure that you receive justice and the compensation you need to cover medical expenses. At Wolfson Law Firm, we are here to help. For a free case evaluation, contact us at 305-285-1115.